Salon Eight-Sixty Inc. Cut, Colour, Perm, Condition, Highlight, Extend. Meet the Team Passionate. Dedicated. Hair Services Cut, Color, Extend. Spa Services Relax. Pamper. Rejuvenate. Comments, suggestions, requests all welcome! Please drop by the shop, call us or email us! "While other extension systems use techniques such as welding, waxing, gluing or knotting, which strain and are very often damaging to the wearer’s own hair, Great Lengths is based on a much more gentle principle: modulating.  Great Lengths Canada created an extremely high-tech method of bonding between the Great Lengths strand and your own hair."